Here is a missing case that I worked on earlier this year. The original posts are on my Missing Childrens forum the way forward. This case is now resolved. Police need help in tracing a missing teenager from Banbury who has not been seen for five days. 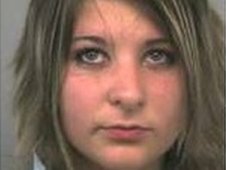 Tessa Stephens, aged 14, was last seen on 1 April. It is believed she will be in the Banbury or Kineton area. I had a look at Tarot for Tessa and continued with some updates to confirm/deny my findings which when looking at tarot I have to take its guidance as being insights from the past present and future. Tarot was pointing to the past with Tessa and it transpired that Tessa had in fact run away before which explained why I received that. Here is the Journey of tarot I wrote complete with dates about Tessa in the hope that it might shed light on her case. The set of posts is uncensored and exactly the replica of what was written on the dates you can see. I am pleased to say tarot was right about the timing of when Tessa would be found and more then this I am glad that she returned home. I wish Tessa a happy and bright future and that she has much happiness to look forward to. TAROT GLIMPSE OF TESSA AND SNIPPETS RECEIVED FROM TAROT. I had two cards for Tessa the first card was the star. The second card was the six of swords. The first card appears to relate to some new hopes or thoughts that occurred possibly around Xmastime. It might be a shortlived hope but it seems to be what the tarot is mentioning to us. The second card seems to show us that she has appeared to leave some untenable situation. In this card the six always tells us about going towards a place of safety. There are other people in this card and it could then suggest that she has not gone somewhere on her own. There may be someone around her who is actually older than her. It may be just as the card has given us that she has taken a boat/ferry or that she crossed some body of water. With a feeling of nature shrubbery, trees flowers I seem to feel there is something to do with the country, or near a river or ocean may be a figurative within the month. Perhaps something is said about these type of areas within that time. I do see tranquility with her and her surroundings. It may be then that this is a place she is familiar with or knows? The star gives to me the number 17 and may come up in any form. We also have the six for the six of swords. I feel there has been a disappointment with this girl after possibly a hope that was in her mind. I am being given that there may be a bizarre encounter in the Star card. It is firmly connected with water in some way or other. It could be about emotions running high or running out, but water is very prevalent in this card and possibly two items whatever they may be. Im wondering if this girl had a boyfriend and its all gone wrong? I have to mention this because there is some kind of lightening truth in this card and it seems to suggest that she was attempting to move away from some thoughts. Does seem to me that the star tells us that something cannot continue as it did before. I have hebrew Fishhook attached to the Star giving us another number 90 - I also have some kind of artificial glass? and someone with a bag in their hand. Someone perhaps a man who has a 'small head'. Thoughts say that Tessa might not have liked cleaning her room and when she does she considers it as an act of righteousnous - Im getting this girl as a typical teenager that thinks the world is a crazy place and there are some things that she does,nt see she should do. I dont know if this was an occurrence before she left her house or not but I see her as refusing to do some things or not wanting to do things and feeling that she would rather not. Im wondering if theres some kind of lesson here, because Im feeling that this girl might do something to force her parents or someone in the family to give her what she wants? Perhaps it might have just been a bit of a lesson to get them to wonder where she was. Its really an off the cuff remark but Fish hook tells us about the way to balance things how to get what you want and liveable conditions . The way in which it appears is when you create situations that get others to feel threatened but not in a destructive way. This may be wrong, but it kind of feels as though this is a roundabout picture of what may have occurred. Tarot is past present and future and not 100% accurate so I may have worded my message in a way that could be better however it is what has come up as to what happened. I think she might have got annoyed at something at home. I am also seeing health matters in this card and some hope for healing - ? I also pick up something about a neighbour here and I feel there is some kind of vocal outpouring. I dont know if there was loud music going on or something of that nature but Im writing it anyway. I also see that this girl may have wished to unburden herself of some situation and talk to somebody. This card can also represent drinking. This girl might have gone somewhere in the past. Somewhere she knew but seems to have drawn some kind of blank. But, I see her looking for a solution of some kind and that solution seems to be where she has gone. Is someone trying to protect someone here? From what? Is there some kind of upset and feeling of sadness in this card or even some kind of shock about something? Is there some unhappy memories here from school? Something has upset this girl or she may be in a very upsetting situation somewhere in the past which she does not quite recognise. This first card also shows us a kind of watchtower and cold stone. This card generally tells us about new jobs or some kind of promotion, but it is the scholastic card as well. Regarding this girl being found I think there is a school girl/boy who may be able to give some insights into Tessa. Generally this card can be within a short amount of time - so Im hoping that some news will be coming forward soon. This card is a sign of worry about impending physical threats. It can kind of suggest that she might be in that situation of some kind. This card does,nt suggest Tessa is dead, it tends to show that perhaps she avoids physical threats and that it may not result in a bad way regarding her. I see her lonely though and feeling that nobody can help her with her problem. She does,nt seem to have any money, I wonder if someone took money off her. I have thought this with this card before when I have seen it as it shows someone without finance. There does seem to be a physical struggle here. Im trying to discover when Tessa will be found and this card gives me the past, I have had no news that she has been found already? But when she is she is linked to the PAST in some way and this card gives days 6 days to be precise but Im hoping it is not referring to the week she has been missing. We shall see. It seems to me that people should look to the past and that is where she will be found. I cant think of any other way of explaining this six of cups. Her circumstances relate to past circumstances? I will look further later I promise. These are just thoughts that have come to mind and I cannot guarantee they are all 100% accurate. Between 4 and 6 0 clock pm tarot told us it felt that Tessa had been found. Date of posting 7 april. Tessas was found at 10.30 PM on 7th april and reported in the press on 8 april.Tarot told us they felt she had been already found - add that to the six of cups and this was right. Tarot gave us six of cups - SIX - she was found six hours later. Check times and dates.